The Alloy Super 13CR Material is developed from the quality 13Cr grade and provide increased mechanical properties and corrosion resistance. The low carbon improves weldability while maintaining the martensitic microstructure. 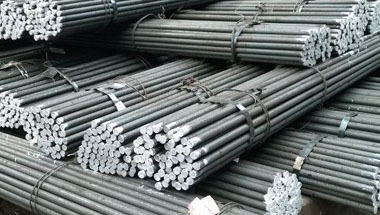 Available in ALLOY SUPER 13CR Round Bar, UNS S41427 Round Bar, Super 13 CR Forged Bars & UNS S41427 Hot Rolled Bars. Its main application is among the OCTG tube & casing and downhole completion instrumentality. Brazil, London, Mexico, Morocco, Kuwait, Italy, Colombia, Russia, Iraq, Nigeria, New Zealand, Germany, Dubai, Jordan, Africa, Democratic Republic of the Congo, Israel, Iran, Sri Lanka, Kazakhstan, Malaysia, Egypt, Houston, Peru, Turkey, Sudan, Azerbaijan, Venezuela, Argentina, Mozambique, Chine, Tunisia, Trinidad and Tobago, Bahrain, Indonesia, Angola, Ghana, Uganda, United States, Ethiopa, Algeria, Australia, Cameroon, UK, UAE, Canada, Thailand (Bangkok), Saudi Arabia, South Africa, Vietnam. Benin, Lubumbashi, Pretoria, Cairo, Dar es Salaam, Doha, Tripoli, Douala, Ibadan, Dubai, Conakry, Alexandria, Beirut, Tehran, Mogadishu, Zaria, Maputo, Singapore, Durban, Omdurman, Jerusalem, Yaoundé, Lagos, Muscat, Rabat, Port Elizabeth, Kano, Antananarivo, Giza, Luanda, Kampala, Sharm el-Sheikh, Kinshasa, Data from the UN, Port Harcourt, Jeddah, Bethlehem, Abu Dhabi, Lusaka, Johannesburg, Riyadh, Manama, Fez, Accra, Abidjan, Byblos, Dammam, Colombo, Istanbul, Brazzaville, Kolwezi, Cape Town, Nairobi, Algiers, Subra al-Haymah, Maiduguri, Amman, Bamako, Casablanca, Ouagadougou, Khartoum, Tel Aviv, New York, Kaduna, Addis Ababa, Soweto, Mecca, Harare, Hong Kong, Cairo, Freetown, Mbuji-Mayi, Aqaba, Dakar, Bulawayo.